The 4th of July is coming fast and, with it, fireworks. A beautiful and enjoyable occasion for humans might be a frightening and noisy occasion for your dog. When the holiday season comes around, try to gauge your dog's reaction to loud noises. If your dog acts scared, you might need to prepare ahead for a rough night and keep a close eye on her once the 4th of July rolls around. One of the best ways to keep your dog calm during Fourth of July fireworks is to get him desensitized to those loud noises a month or more ahead of time. If you can play firework noises randomly from time to time before July hits, your dog will be less likely to be scared or surprised it fireworks go on Independence Day. You can find sounds of fireworks on Youtube here. Just start out softly and then gradually increase the sound over time as your dog gets used to the noises. If you don't have the lead time to do that this year, try to prepare ahead for next year and for this year try some other tips found below to keep your dog calm during the celebration. If at all possible, you should stay home with your dog during the peak of fireworks, especially it is a new or young dog and you are not sure how the dog will react to fireworks. If you are home, your dog will likely be less fearful and calm than if he is home alone. If your dog has less energy, he'll be less prone to panic during the night. The more tired your dog is before the fireworks begin, the less likely your dog will be to run around or run away. Try walking or exercising your dog earlier in the day, before the festivities begin. Try to keep her leashed for the walk, since folks tend to play around with fireworks at all times during Fourth of July holiday, and you don't want her running off during your walk. If you normally keep your dog outside, it might be best to keep him indoors during the celebration. It will put your dog at ease, keep the barking to a minimum, and reduce the risk of him jumping the fence and running into the street. If you need to keep your dog outside, be sure to keep an eye out for pranksters and hoodlums that might try to scare your dog. People have been known to throw firecrackers near a dog just to get a reaction, so be mindful that people may think it is funny to try to scare your dog. Make sure your dog is microchipped or, at least, has a collar with tags containing current info of how you can be reached in case your dog runs away. Keeping everything closed will muffle noise and keep your dog from seeing flashing lights that might scare him further. Avoid setting any fireworks off close to the house. This will not only help to muffle the bangs and booms going on outside, but providing another constant source of noise might distract or otherwise calm your dog. Soothing music works best. Try playing the music a couple of hours before the festivities start, so your dog can begin to associate it with peace and comfort. Sometimes, turning on the air conditioner or a fan to help muffle noises can also be helpful. 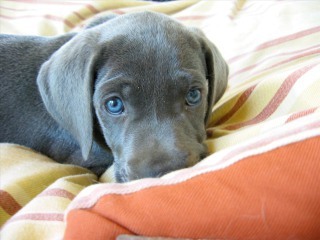 Sometimes a cover, such as a blanket with your odors, will help calm the dog down. It can help her feel more comfortable and protected. If she has a "safe spot" that she normally enjoys, keeping her there during the peak of noise will be a good idea. Giving your dog a treat or his favorite toy after a particularly loud noise can help him associate the noises with positive things. Just don't overdo it, or the dog might exhibit bad behavior to get attention. You can also try to distract them by playing his favorite games with him. Or just cuddle with your dog and give him a nice massage. You can even try giving your dog a doggie facial to distract him. If you give your dog facials or massages a few times before the Fourth, your dog may be instantly calmer when you give him one during fireworks. If your dog gets scared enough to hide under a table, or beneath a bed, don't attempt to pull her out. This might stress the dog further, resulting in a more negative association with the fireworks. Be sure to stay calm when you're around the dog. A dog will naturally react to your behavior, so acting panicky or nervous around the dog will only make matters worse. If you're having a lot of people over, try keeping the celebration outside. If you are still concerned about your dog's reaction to fireworks, you can also try these possible remedies. If you think it may help, you can also try giving your dog warm or chilled chamomile tea to drink or use chamomile tea in a warm compress to wipe down your dog. (You should always test this first on a small area of your pup's back to make sure he is not allergic.) Since chamomile is well known as a mild calming sedative, it may help your dog stay a bit calmer. You can try giving your dog Benadryl to help your dog stay calm and feel drowsy. As with any medications, you should check with your vet before giving your dog Benadryl to calm him. Normally, the suggested dosage of for oral Benadryl is 1 mg per pound of body weight, given 2-3 times a day. 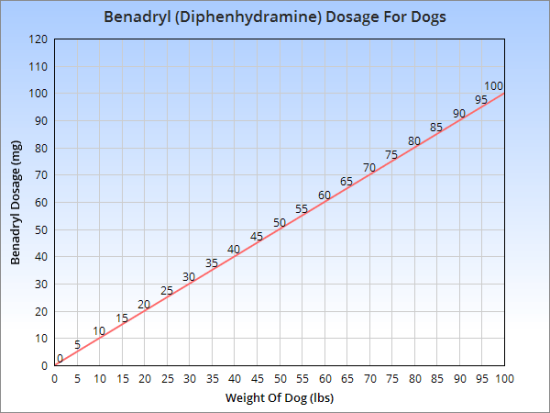 Most drug store diphenhydramine tablets are 25 mg, which is the size used for a 25 pound dog according to PetMD. Unless directed otherwise by your vet, I would start with a dosage of 25 mg and see how that works, no matter how much your dog weighs. Dogs can react more strongly than expected to medicines. If your dog is likely to be extremely panicky or irritable, it's possible to buy mild tranquilizers from the local veterinarian. 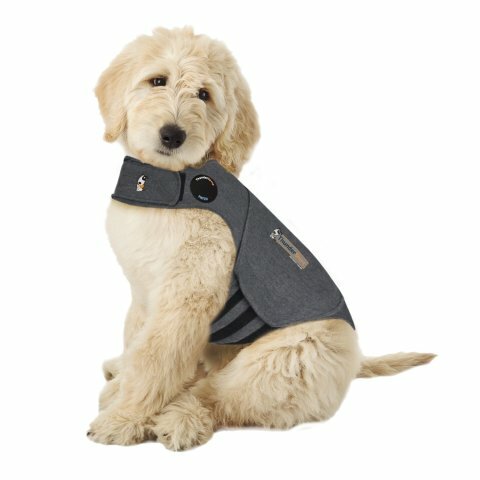 Another thing you may want to consider if your dog tends to get agitated is to get a Thundershirt to help keep your dog calm. You can read more about the Anxiety Calming Thundershirt here and read reviews for it here. Most people find them very helpful in calming down anxious dogs. Following these steps will help to soothe any panic your dog feels during the 4th of July. If you can prepare for the fireworks a few weeks ahead, you and your dog will be in much better shape for your next Fourth of July celebration. What do you use to keep your dogs calm during fireworks? Share your tips with our readers in the comment section below. Originally published July 2012 and updated May 2017. OTHER TIPS: If you are going to be out walking with your dog, make sure to check out my tips on how to protect your dogs paws from hot pavement. If you are taking your dog near water this Fourth of July, make sure you think about whether your dog needs a life vest and tips of finding a good life vest for your dog. The Cat's Meow: What Does It Mean?